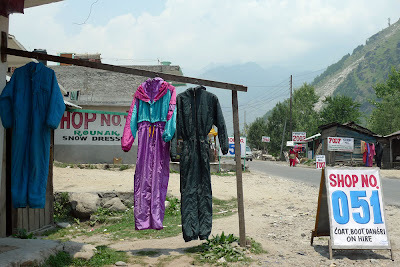 Manali has the headiest concentration of one-piece snow apparel in the world. 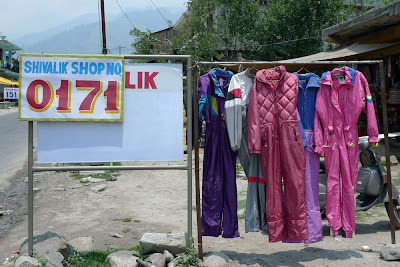 It is no coincedence that you can spell "a Milan" out of "Manali". 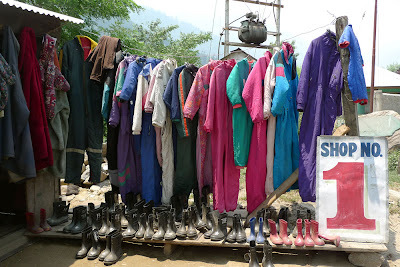 It is truly "a Milan" of skiing fashions in the mountains of Himachal Pradesh. Haute couture yay, but unaffordable nay. 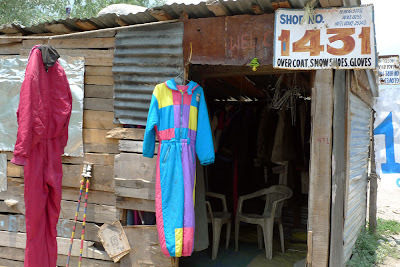 A "snow dress" can be hired out for the reasonable price of 300 Rs a day. 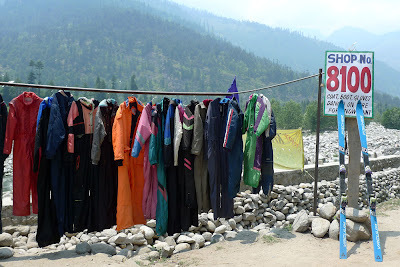 The suits are popular with domestic tourists who have never seen snow. 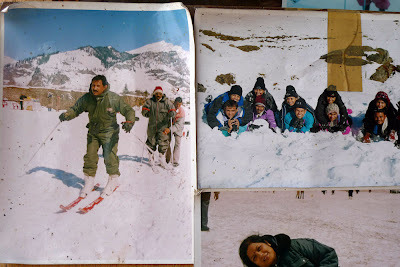 They rent a one-piece and skis from one of many rental shops, drive up the Rohtang pass, find a patch of snow and pose for amazing pictures. 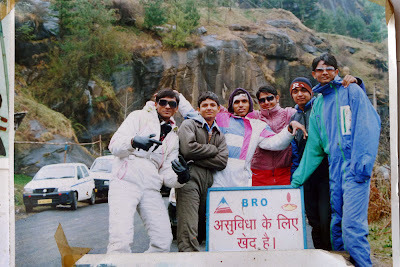 Then they tell everyone back in Delhi or Punjab that they went skiing over the holidays. They totally have the right idea. 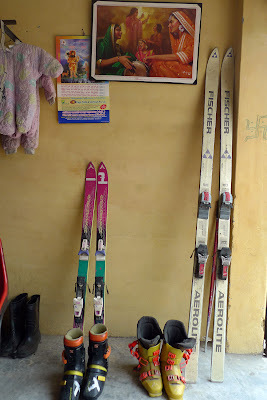 Who likes actually skiing anyway? It's really just an excuse to eat fondue and wear fluorescent. Enjoy these rare glimpses of a real jewel of a ski town. 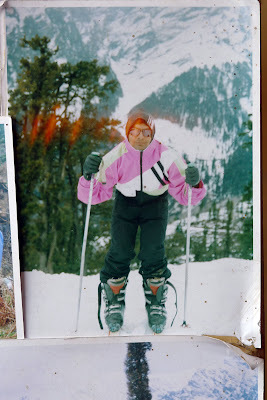 These photos are just a taste...I plan to put on a proper show of Indian Ski Fashion at Steven Bulger gallery if I can ever afford to develop the film.